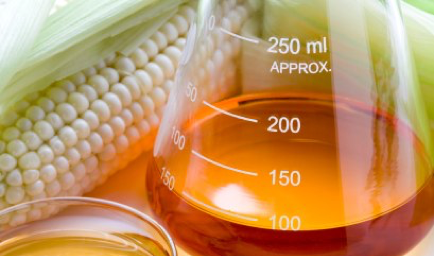 How much Polnox® 8020 is required to match the performance of oil treated with 3% commercial antioxidant (AO)? 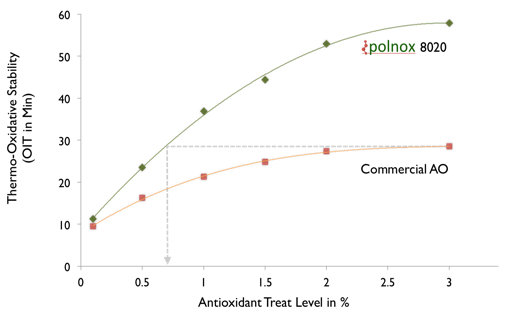 The plot in Figure 1 suggests that the stability of oil treated with 3% of commercial AO could be matched with oil treated with just 0.75% of Polnox® 8020.  An additional experiment was performed to test this prediction. A series of samples were prepared with various treatment levels of Polnox® 8020 to match the performance of the commercial AO. 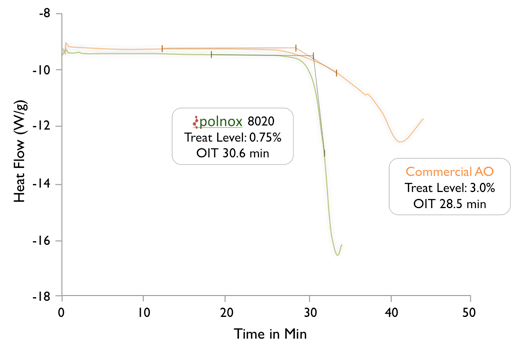 The experimental plots of ASTM D6186 in Figure 2 illustrates how oil treated with just 0.75% of Polnox® 8020 has an OIT value equivalent to that of oil with 3% commercial AO. This provides conclusive evidence that Polnox® 8020 is 4 times more effective than the commercial AO.